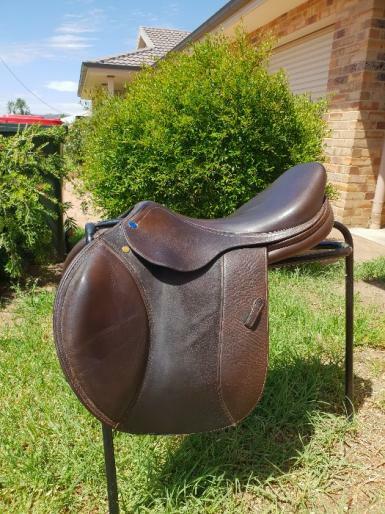 Brown Southern Stars jump saddle. 17.5 inch, medium gullet. Comfortable saddle put the rider in a secure position. Awesome saddle but no longer being used. Unmounted with Southern stars dust cover. Can post if required at buyers expense.